A poor showing thanks to minimal device support and a surfeit of bugs. If you live in the United Kingdom, your DIY options for setting up a smart home are surprisingly limited. Hubs like the Wink Hub 2, Notion, and Oomi aren’t on sale there, leaving SmartThings and the Amazon Echo two of those on a very short list of hubs that can interact with other smart home gear. Enter the nCube, a UK-built hub that aims to bridge that gap with a homegrown solution that can manage multiple types of devices from different vendors, all from a single app. It didn't make a favorable impression. 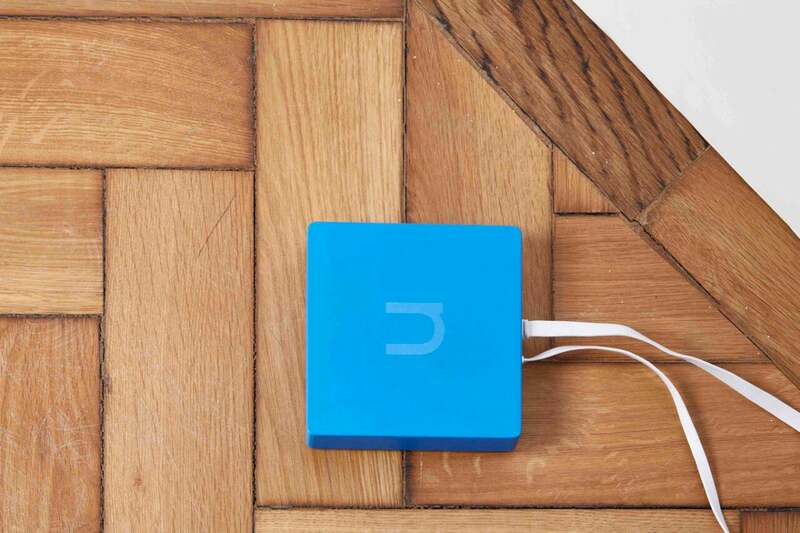 The nCube is a small square (not really a cube) similar in size to the Samsung SmartThings hub and a striking blue in color. Like other hubs, it is designed to connect to your router via an ethernet cable, or you can (theoretically) use a Wi-Fi connection instead. Though I’m based in California, not Cornwall, I had trouble with nCube from the start. But before we even get to that, first you should consider the issue of the slim number of devices that the nCube supports. The company claims it supports 70 devices, but this is a pittance compared to the hundreds (or thousands, even) of smart home devices on the market, and it pales in comparison to leading hubs, like Wink or SmartThings. The list of devices supported seems almost random, the major players supported including only Sonos, Netatmo, Philips Hue, LIFX, Nest, and Belkin WeMo. Note: This review is part of our roundup of smart home systems. Several Z-Wave switches and sensors are supported, but most of the manufacturers aren’t terribly well-known in the U.S., including brands like Danfoss and Philio. While not fully documented, Bluetooth LE devices are also supported. A simple home screen gives easy access to all your devices—provided nCube works with them. Note that within that list of brands, support is not universal. The nCube doesn’t support Nest smoke alarms, for example, only the thermostat. The bottom line is that it was tough to find very many devices that I could even try to connect to the nCube. Trying out devices is one thing; getting them to work is another, as connection troubles quickly became a major problem in my testing. It started with the nCube itself. Setup is decidedly complex to the point where I must officially discourage novices from even considering unboxing it. As noted, you can use the nCube with either Wi-Fi or an ethernet connection to your router, but the former method isn’t completely baked. The nCube setup process doesn’t work at all with a Wi-Fi connection; instead (as tech support ultimately had to direct me), I had to visit an undocumented website using a web browser, there filling out an obtuse form (see screenshot). Unfortunately, this didn’t work either: It turns out the nCube did not fully support WPA2, the Wi-Fi encryption on my router (and the standard that’s used today). Finally I scrapped the Wi-Fi angle and went with a cable. Connecting via ethernet did work, though the friendliness of the setup could use considerable work. From here I moved on to connecting some smart home devices. Again, nothing worked at all, and I resorted to tech support again to troubleshoot. 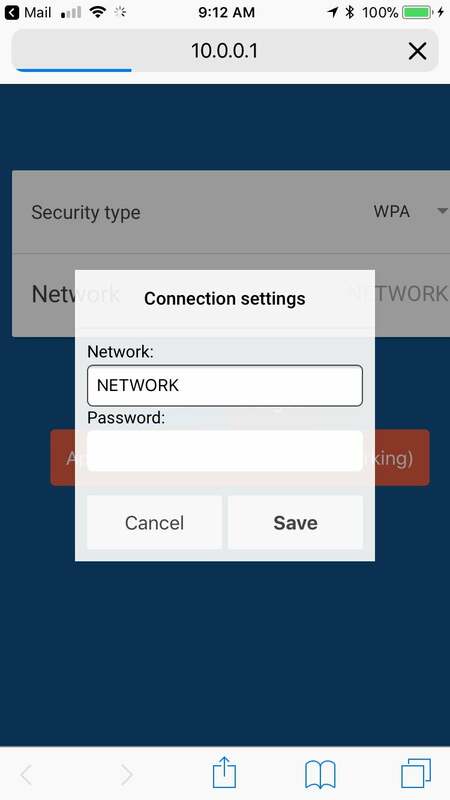 The rep connected remotely to my device and said there was a problem with the Wi-Fi configuration, which he fixed. I couldn’t tell what he did. Whenever I tried to load the wireless settings in the app, it would hang indefinitely, before and after his fix. Regardless, after this I was able to connect to a few light bulbs, but my Netatmo weather station gave me an error every time I tried to add it to the system. I also couldn’t get the nCube to connect to any Bluetooth LE devices, and couldn’t even tell one from another because the list of devices on the screen was nothing but a series of obtuse MAC addresses. If you want help, the documentation included with the nCube won’t get you far. The bifold user guide is dense with text, but short on useful information. Though support was responsive, emails to and from Europe made for slow going, with a day-long lag between most messages. With my lights working at least, the nCube app was reasonably straightforward to use. 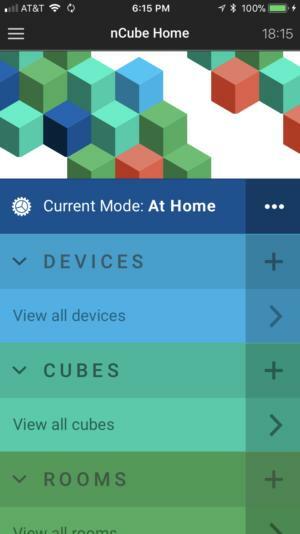 While it’s a bit rudimentary, I was able to control devices remotely (in the house or away from it), set up IFTTT-style “Cubes” that respond to certain triggers, and assign devices to rooms of the house. That said, the nCube app is bafflingly undercooked. Key text, images, and labels are frequently missing, and almost everything in the app is incredibly slow to respond. The bottom line: At double the price of a Wink 2 and four times that of SmartThings, nCube really makes little sense for anyone to even consider.